Presented by CHARLES ERIC GORDON, Esq. In the course of practicing law, many attorneys encounter situations in which necessary parties to an action or witness cannot readily be located, even through the use of common databases. Charles Eric Gordon, Esq., investigative counsel to the legal profession, corporate law departments and private detective agencies will present a practical program on tracing missing defendants, spouses, witnesses, heirs, beneficiaries and others, including individuals who have been absent for many years or are otherwise difficult to locate. Attendees are encouraged to participate in a “Question and Answer” period during which actual missing person situations from their own practices can be discussed and for which Charles Eric will offer guidance on how these particular problems may be solved. 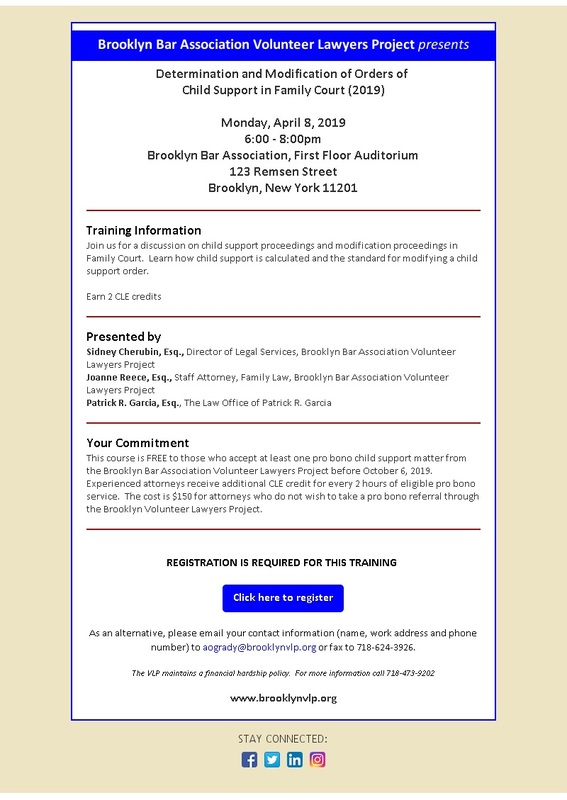 The cost of this course is $75 or is FREE to those who accept at least one pro bono referral* from the Brooklyn Volunteer Lawyers Project before October 8, 2011. Experienced attorneys receive additional MCLE credit for every 6 hours of eligible pro bono service. 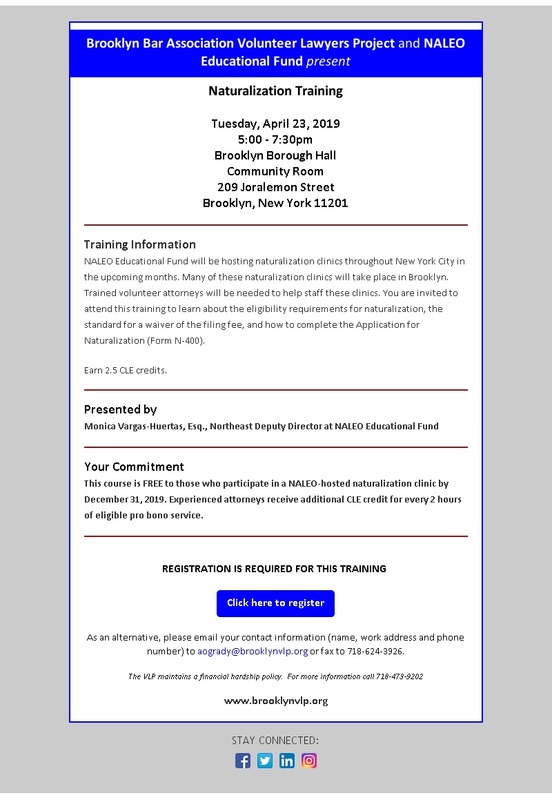 * Please note that the VLP does not assign missing persons cases; therefore, pro bono referrals in exchange for this course are available in any of the VLP’s other project areas, including family law, uncontested divorce, 17A Guardianship, the CLARO consumer debt clinic, bankruptcy, elder law and foreclosure intervention. 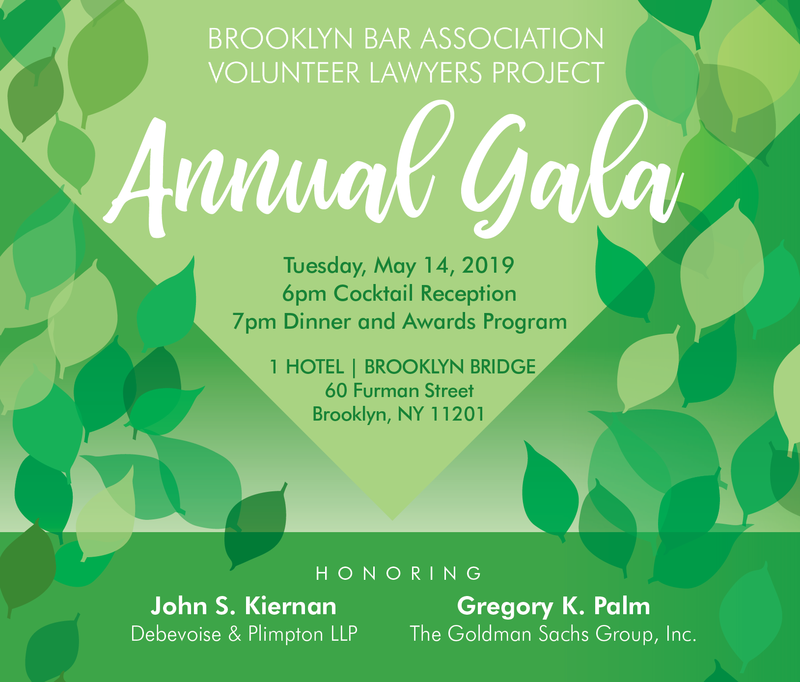 For more information, please contact Pro Bono Coordinator Jessica Spiegel at 718-624-3894, ext. 4. Topics include: Will drafting, including: the importance of having a will; how to write one; probate; health care proxies; power of attorney; joint accounts; assets. Brief DV 101 and information on issues particular to DV clients, including: family court issues such as custody and ACS (NYC’s Children’s Services); different types of assets, such as rights to public housing apartments or Section 8 vouchers. This course is free to participants who agree to volunteer for two cases for a Wills, Domestic Violence or other matter with the Volunteer Lawyers Project. Experienced attorneys receive additional MCLE credit for every 6 hours of eligible pro bono service. To register, download the registration flyer. Topics include: Filing Guardianship Petitions, Guardianship Accountings, Handling Guardianship Withdrawals, Common mistakes with Guardianship Petitions. This course is free to participants who agree to nine volunteer hours with the Court (three hours per month for three months). Experienced attorneys receive additional MCLE credit for every 6 hours of eligible pro bono service.